Thousands of tourists visit Kinabalu National Park every year since it is one of the major tourist attractions in Sabah and also borneo malaysia nature tourism destination. This park was established in the year 1964 and it is Malaysia’s first World Heritage listed park designated by UNESCO in the year 2000. Not only it that it is also designated as a Centre of Plant Diversity for Southeast Asia. Kinabalu National Park is also well known as Taman Negara Kinabalu (in Malay) and is located on the west coast of Sabah. It covers a huge area of 754 square kilometers surrounding Mount Kinabalu, which is the highest mountain on the island of Borneo. The outstanding attraction of Kinabalu National Park is 4,101 metres high summit of Mount Kinabalu which is also one of the highest mountains in South East Asia. The adventurous and energetic people looking to seek the best out of borneo malaysia nature tourism, can hike up the summit trail to the peak of Mount Kinabalu. Usually the ascent and descent will take nearly two days. You will be glad to know that the annual Mount Kinabalu International Climbathon draws participants from around the world. The Kota Kinabalu Park has got many tourist attractions and immensely popular worldwide especially for its biological attributes and amazing sabah jungle adventure which features flora and fauna from more than 4 climatic zones. It has got more than 4,500 species of flora and fauna, including 326 birds, around 100 mammal species, an estimated 1,000 orchid species, 621 fern species, nine Nepenthes species, 29 Rhododendron species and two Rafflesia species which is the largest flower in the world. This Park is also home for 62 toad and frog species and a huge population of 850 butterfly species that occur in Sabah. Out of the 29 bird species that are endemic to Borneo, at least 17 are confined to the mountains, particularly to Mount Kinabalu. These include subspecies of the Red breasted Tree-partridge, Crimson-headed Wood-partridge and Mountain Blackbird and this is the main reason why it is known as nature’s paradise. Another major attraction of the Kota Kinabalu Park is the 1.6 kilometre deep canyon named, Low's Gully. In fact staying at Kota Kinabalu is considered as an excellent way to explore this wonderful park. The Shangri La’s Rasa Ria Resort is one of the best place to stay in Kota Kinabalu and the best part is that it is ideally located facilitating a convenient and easy access for visitors who want to explore and experience sabah jungle adventure. Also do not forget to visit Poring Hot Springs which is a wonderful place. You can stroll through the park and enjoy its natural beauty. It is very famous for the therapeutic hot springs. In fact the Poring Springs has quite a few attractions to offer to its visitors including a butterfly farm, filled with a mesmerizing variety of butterflies and an orchid conservation. 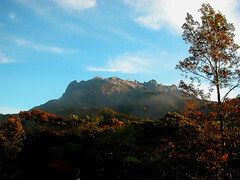 To reach Kinabalu National Park is easy and it takes only about 90 kilometres from Kota Kinabalu. In general people arrive via organised tours, but there are also public buses in frequent intervals which depart from Kota Kinabalu North Bus Terminal. You can take a bus destined for the East Coast or to Kundasang or Ranau, and just get down at the Park. about Kinabalu Park Canopy Walkway and Poring Hot Springs Full-Day Tour from Kota Kinabalu here. 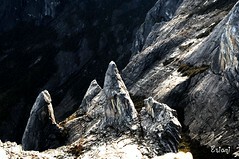 Experienced the amazing beauty of Kinabalu National Park? Share your stories and experiences here.